You are in the mood for biking and you like to have fun together with likeminded people? The anticipation is huge - the mountain bike professional LEO HOLLINGER from Palatinat will be our guest in July 2019 and accompany the bike camp. 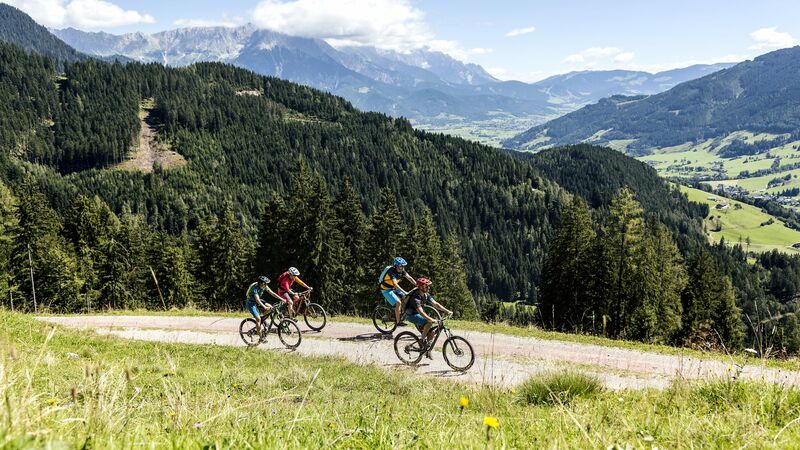 Our bikeguide spends unforgettable days with you in the bike paradise Pinzgau. For technical trainings and daily tours our bike guide will show you the most beautiful places around Leogang, Saalbach Hinterglemm, Fieberbrunn and Zell am See. 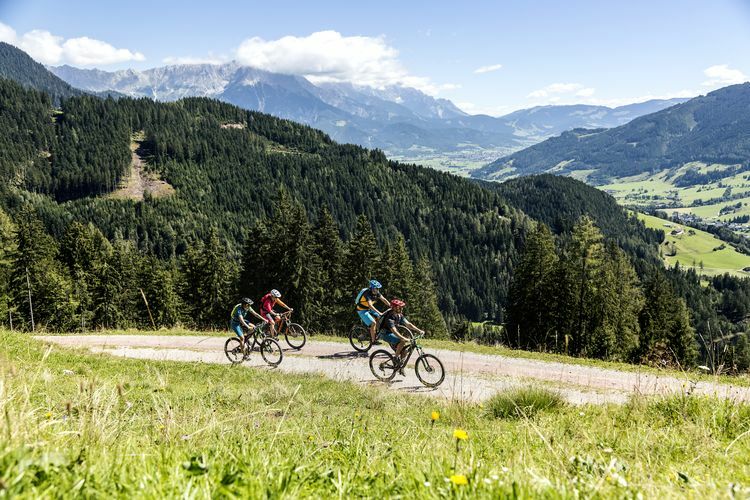 If you like the challenging experience start your biketour directly from our hotel for example to the Asitz - from 800 to over 1,700 m. Alternatively, you can also take the free ride up with the cable car and test soft trails and downhill tracks from there. Daily appointment to the programm is possible!